There’s no doubt about it, Australia has some amazing animals. 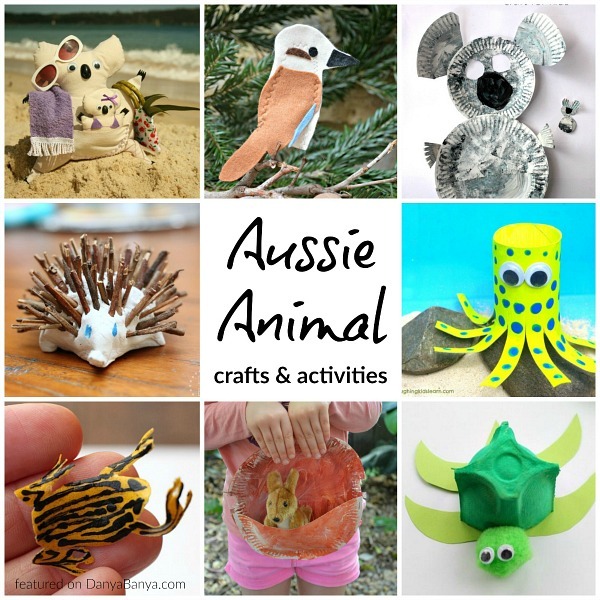 In the lead up to Australia Day this year, I thought I’d do a little tribute and share some of our favourite Aussie animal crafts, activities and learning resources. Bilbies are shy, nocturnal marsupials, about the size of a cat. They’re very cute, with grey and white silky coats, white-tipped tails, long ears and pink pointed noses. Sadly due to habitat loss, competition for food and introduced predators, they’re numbers have reduced dramatically and they’re now classified as an endangered species. Learn more about bilbies here. Make a bilby pencil topper, from Our Worldwide Classroom. 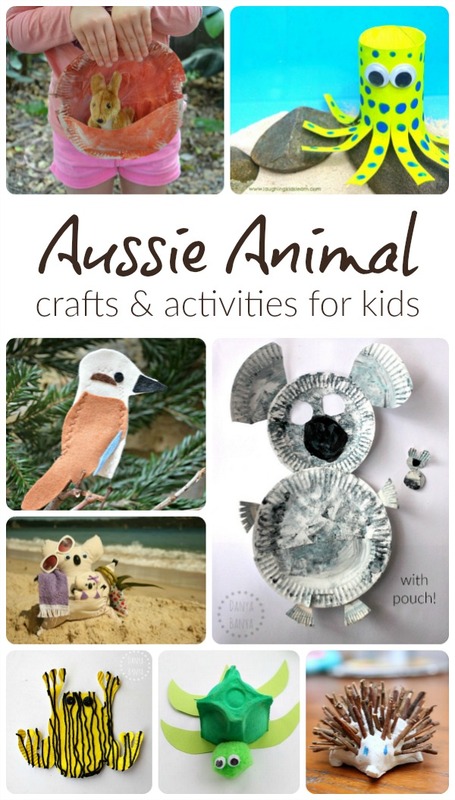 Mother Natured has 10 bilby activity ideas, including a free printable bilby mask. Blue ringed octopuses are little marine creatures that like to hide in tidal rock pools along the beach. Saying they’re deadly doesn’t seem strong enough. Can I say they’re “really deadly”? LOL. Their blue rings only appear when they are scared, to serve as a warning… which is all well and good, except that little kids don’t necessarily see blue rings as warning signs. Argh! This TP roll blue-ringed octopus craft from Laughing Kids Learn is a cute (and much safer) version for kids to play with. These birds are actually parrots! They come in a few different colour combinations, with the most common being white with a bright yellow (sulfur-coloured) crest on the top of their head. A friend of ours had a pet cockatoo called Frankie, who could say “Hello Frankie”, in his squawky voice. These sulphur crested and Major Mitchell’s cocktaoo pencil tins are sooo cute! From the Craft Train. This cupcake case cockatoo from Activity Village looks fun. These striking yellow and black striped frogs are as poisonous as they are tiny! Unfortunately, due to disease, they’re also critically endangered. Learn about conservation efforts working towards both establishing healthy captive breeding colonies, and researching a cure to this disease which could potentially save frog species around the world. Bee and I made paper plate southern corroboree frogs. And I also made leaf corroboree frogs, on our sister site Go Science Girls. Australia has two species of crocodile, fresh water crocodiles and the larger (and scarier) salt water crocodiles. Beware, they bite! This woven crocodile idea looks like it has bumps over it’s back! From Rae Rae’s Sketch A Day. Dingo’s are Australia’s wild dog. It’s estimated that they first arrived in Australia from Asia, around 4000 years ago. They don’t bark like other dogs do, but they can howl. Learn more about dingos here. Echidnas are a monotreme, or egg-laying mammals. Their spines are actually modified hairs, which they use for defence. 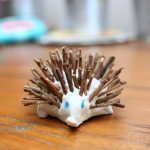 The kids and I made a cute little clay and twig echidna, and learnt lots of fun echidna facts. Grow your own echidna grass head! 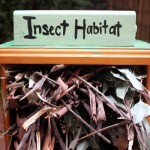 Love this idea, from Mother Natured. Emus are Australia’s largest bird, and second largest bird worldwide (second to the ostrich). They can’t fly, but they can run really fast. They look odd, with soft brown feathers on their body, but few feathers on their neck and head, where bluish grey skin shows through. When they are feeling frightened or defensive, frilled neck lizards puff out a frill around their neck hence their name. It’s certainly very impressive! 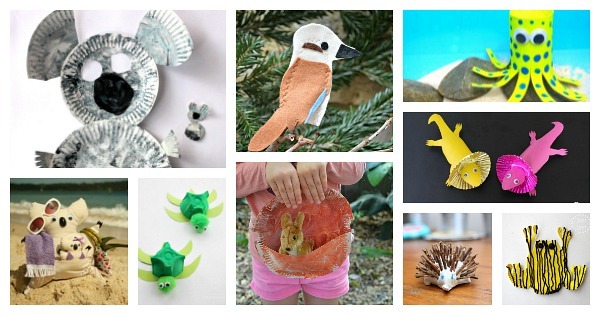 Make your own cardboard tube and cupcake liner frilled neck lizards, from The Craft Train. There are over 50 species of shark that inhabit Australian waters, but of these, the great white shark is the scariest. They are the ones that occasionally mistake a surfer for a seal and take an unfortunate nibble. We love learning about sharks at the aquarium – most are not as fearsome as they first appear, and many are actually becoming threatened due to over-fishing. You can find out more information about Aussie sharks here. (My top tip: don’t eat shark. Choose a more sustainable species instead). I Heart Crafty Things has a scary (but still cute) cupcake liner great white shark craft. Jellyfish usually have a bad rap in Australia. We have two that dwell in our northern waters, the Box Jellyfish and the tiny Irukandji Jellyfish, which are incredibly deadly. Blue bottles aren’t quite so bad, but they will still give you a nasty sting. Kangaroos are awesome! They’re marsupials (meaning they raise their under-developed young in a pouch), and hop around on their hind legs and tail. Once you leave the main cities, you regularly see them grazing and jumping around, especially at dawn and dusk. Print out, glue and cut these little kangaroo and joey puppets for some Aussie imaginative play. From Mother Natured. Danielle’s Place has a cute kangaroo craft idea, turning the pouch into a planter box for flowers. Print out this Aussie animal movement and sound dice from Mother Natured and have the kids jumping around like a kangaroo. Mother Natured also has an awesome paper plate kangaroo costume, complete with pouch and joey! Koalas seem to do nothing except sleep and eat! That’s because their diet of eucalyptus leaves requires a lot of digesting time. They are marsupials too, so carry their under-developed babies in a pouch on their tummy. Koalas are as fascinating as they are hard to spot in the wild (for us, at least). We love seeing them in zoos and animal parks, but we’ve yet to find one up a real (non-enclosed) gum tree. We’ll keep looking up, just in case we do one day! 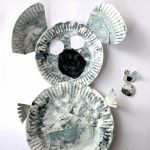 We made a paper plate mother koala craft, with a teeny baby koala joey in her pouch! The Craft Train has some cute printable koala masks, in a range of Aussie colours, or there’s another koala mask here from Mother Natured. Coloured Buttons has a tutorial for a koala (and baby joey) softie that kids can sew! 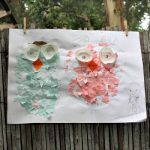 Glued to My Crafts has a cute newspaper print koala craft idea. Laughing Kids Learn has a cute party food idea – instead of frog in a pond, how about koala in a creek? How about a paper bag koala craft? From I Heart Crafty Things. This paper plate koala costume (yes costume!) is adorable! From Mother Natured. I love the koala ears! Kookaburras are medium sized birds in the kingfisher family. They like to sit silently on a branch and swoop down to snare a little worm (or steal a sausage off the BBQ when we’re camping). Silently that is, until they start to laugh their outrageous laugh. Kookakakakakakookakaka. See how to make a kookaburra finger puppet (perfect for singing Kookaburra Sits In An Old Gum Tree) from Red Ted Art. Australia has quite a few species of owl, except that ours don’t always behave like their Northern Hemisphere counterparts. The Barking Owl doesn’t hoot at all, but instead makes a noise similar to a dog’s bark! Mother Natured has a free printable barking owl puppet. Cook Clean Craft shows how to make a paper bag platypus (original and Perry the Platypus versions). This paper plate seagull looks really easy and super cute! From Local Fun For Kids. There are 10 species of seal and sea lions that live in Australian waters. We love to visit the seals at Taronga Zoo and see them basking on the rocks, gracefully swimming, or performing daring tricks during the seal show. Print, glue and cut out these cute seal bookmarks from Mother Natured. Did you know that, of the seven species of sea turtle found worldwide, six of them (the loggerhead, green, hawksbill, olive ridley, flatback and leatherback) can be found in Australian waters? Turtles play a vital part of the Australian marine ecosystem, and likewise, Australian nesting grounds and waters play a vital part in turtle conservation. These egg-carton turtles from Emma Owl are so super cute! Australia also has a lot of snakes! And yes, quite a few are deadly. Fortunately, they tend to leave you alone as long as you don’t disturb them. Mother Natured has a great idea for a snake craft using a large leaf. I love her googly eye idea too! Australia has the most amazing tropical fish living among our coral reefs. If you ever get a chance to scuba dive on the Great Barrier Reef, I highly recommend it – it’s truly amazing. These paper plate tropical fish from Makes and Takes are cute. Besides clown fish, you could look up other specific fish that you’d like to recreate to match their colours and patterns. Wombats are short-legged, stubby, furry marsupials that waddle about and dig burrows. This paper plate wombat craft from Danielle’s Place is super cute. Mother Natured has five ways to play and learn about wombats including a free printable wombat mask. Happy Whimsical Hearts has the sweetest felt wombat tutorial. 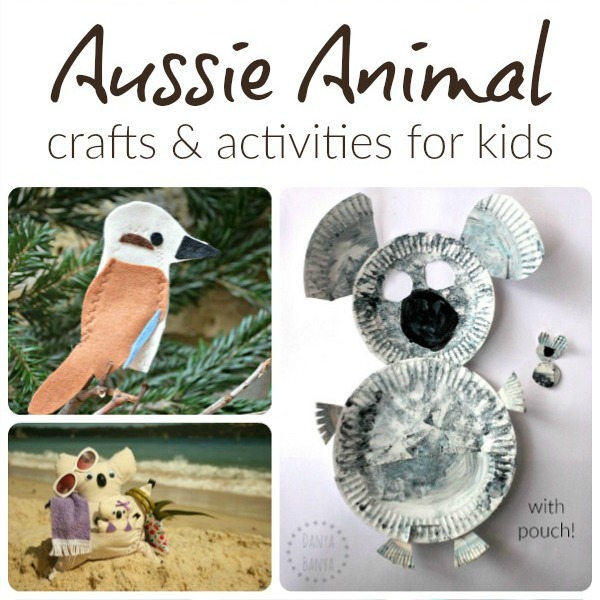 Do you know of any other kid-friendly Australian animal crafts or activities we could add? Please share in the comments below. For even more fun Australian activities, check out our Australian activities archives page. 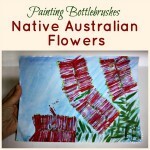 We also pin HEAPS of awesome stuff on our Australia for Kids pinterest board. And if you like creative activities for kids like this, you might want to subscribe to our newsletter, to receive fun activities straight in your Inbox, about every few weeks or so.